Here to support #TogetherWeTriumph a collective female empowerment, recognize sisterhood and togetherness. Behind every women is another woman who inspires and helps her. Enter into the realm of A Collective Female Empowerment as we peek into ‘real life’ moments that challenge cultural stereotypes and redefine social perspectives. Women are stronger together, and together women will triumph. 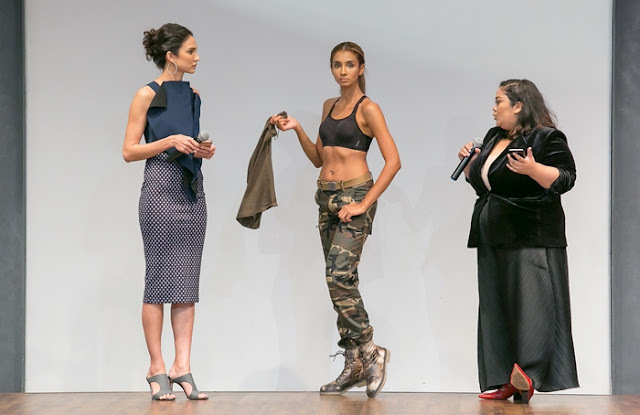 Triumph Malaysia kickstart this global campaign with “Empowering Female with Triumph” Fashion Showcase at One Utama Fashion Week. Working with Fashion & Style Director, Ms Azza Arif who has worked with celebrities like Alexandra Daddario & Liv Tyler, this fashion showcase sets to exemplify the campaign message, #TogetherWeTriumph. For over 130 years, Triumph has been supporting women through their product, giving the feeling of total confidence and providing fit solutions for all shapes and sizes. Embedded in the Triumph Brand Values is the support of women who support one another and representing the brand are thousands of employees who excel in service every day, from design and innovation to the fit experts in store. #TogetherWeTriumph is a celebration of women all over the world and will be seen on cinema, digital, social, OOH and at retail worldwide. Taking time to honour and celebrate inspiring females, Triumph believes that there is strength in sisterhood and when women feels supported, incredible things will happen.